SkillELECTRIC is the search for the UK’s best young electrician and the premier skills competition for the UK’s electrical industry. Each year, the best electrical apprentices and newly qualified electricians from across the UK take part in six regional heats to win a place in the competition’s grand final. 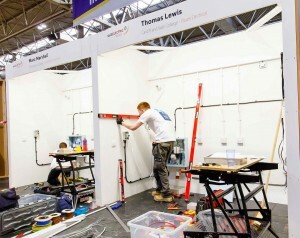 The top eight performers from these heats then compete in a two-day electrical installation challenge under the eyes of a group of industry experts who determine which of the finalists wins the gold medal and the title of the UK’s best young electrician. Medals are also awarded for second and third place in the competition. At a time when more and more young people are considering becoming an apprentice and the electrotechnical industry is competing with a wide range of other occupations to recruit high calibre young people to its apprenticeship, SkillELECTRIC provides a platform to showcase the best young talent working in the industry and highlight the opportunities that becoming an apprentice electrician provides. NET is proud to organise SkillELECTRIC in partnership with WorldSKILLS UK, after many years as one of the competition’s premium sponsors. Rhys Boni wins SkillELECTRIC gold!